An excellent article by @SwissRamble on Arsenal finances; their cash reserves and how much of a transfer budget they currently have. I have taken the best and most relevant points from the article to give you a short summary. As at the end of the 2011/12 season (the latest year when football clubs have published their accounts), Arsenal had an incredible £154 million of cash, which is significantly higher than any of their competitors with Manchester United the closest with £71 million (less than half the Gunners’ cash pile). An even more amazing statistic is that Arsenal have almost as much cash as the rest of the Premier League’s other 19 clubs combined (£181 million). There has been a steady upward trend over the last few years in Arsenal’s cash balances, which have grown from £74 million in 2007 to £154 million in 2012….. However, this does highlight the fact that not all of Arsenal’s cash balance is available for transfers. It’s not quite that simple, due to many factors, including the need to pay those pesky expenses. 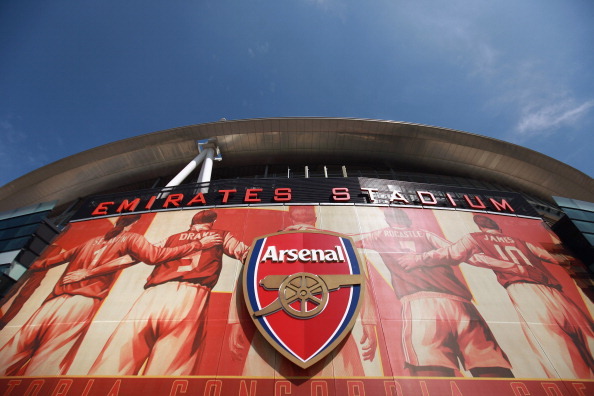 The debt incurred for the new stadium continues to have an influence over Arsenal’s strategy. Although Gary Neville, amongst others, may believe that this is no longer an issue, it is clearly a factor with Arsenal’s gross debt standing at £253 million at the end of 2011/12, comprising long-term bonds that represent the “mortgage” on the stadium (£225 million) and the debentures held by supporters (£27 million). Although this has come down significantly from the £411 million peak in 2008, it is still a heavy burden, requiring an annual payment of around £19 million, covering interest and repayment of the principal. – Highly unlikely that Arsenal will pay off the outstanding debts early. – Will receive £ 20 million over 2 years from property sales. – Around £ 8 million may have to be paid to clubs for performance based results and other factors such as number of appearances. – Sale of Gervinho and Mannone got £ 10 million but Monreal cost £ 8 million in Jan.
– £ 150 million new Emirates deal to start from 2014. So, what is the magic figure Arsenal have as a transfer fund? Given all of the variables described above, it’s safest to quote David Bowie, “It ain’t easy”, when trying to pin this down, but the oft-quoted £70 million is a reasonable estimate. If funds from property development and future commercial deals are also made available, then it could be as high as £100 million. However, the headline figures do not tell the whole story, as much of this excellent performance has been down to profits from player sales (e.g. £65 million in 2011/12) and property development (e.g. £13 million in 2010/11). Excluding those once-off factors would mean that Arsenal actually made losses in the last two years: £4 million in 2010/11 and an apparently worrying £31 million in 2011/12. Where have Arsenal spent the money? Increase in wage bill with new signings – Arsenal’s wage bill has grown by 38% since 2009 and revenue by only 5%. However increased revenue means that the wage bill can be increased easily over the new few years. Players not available – Not really valdi when you consider the buying of Man City and Tottenham this summer. Other clubs such as Monaco and PSG can spend more – however United, Liverpool and Spurs have spent more than Arsenal in recent years. Financial Fair Play – Should not be a problem for Arsenal even if they spend. Cash balance makes it easier to sell the club. No Arsenal supporter in his right mind would want the club to “do a Leeds”, but they are a considerable distance from that nightmare scenario. Equally, nobody should expect the promised big spending to guarantee an end to the recent trophy drought, but it would give the club the best opportunity to compete for honours, especially at a time when their main rivals have all gone through various degrees of management upheaval: nothing ventured, nothing gained.